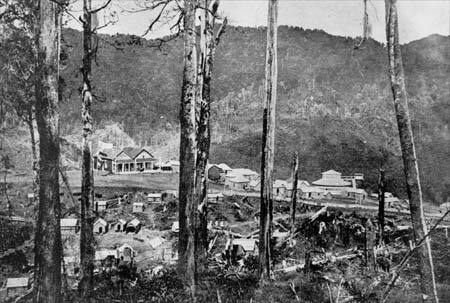 Maungapohatu is a small village situated deep in the Urewera National Park, customary home of the Tuhoe people. 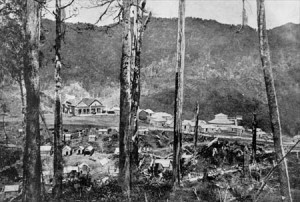 The Urewera region, which is very isolated and covered with dense bush, was the last area of New Zealand to be ‘colonised’ by the government. Since the 1840s, Tuhoe had objected strongly to Crown interference in their area, banning the entry of surveyors, speculators and prospectors. 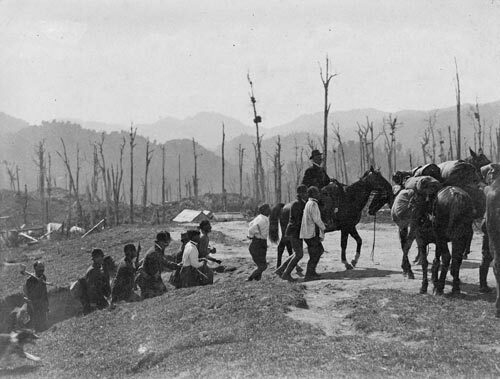 During the New Zealand Wars, the Armed Constabulary had marched through the area in pursuit of Te Kooti Rikirangi, a tohunga and ‘rebel’ who waged a four-year campaign against settlers and the Crown from 1868-1872. Te Kooti was never caught and went into refuge in 1872. Tuhoe resistance to the Crown’s intrusions continued through to the 1890s. Their resistance was partly overcome by the granting of limited autonomy in 1896. Some twenty years later, when New Zealand troops marched off to join Britain in what became the First World War, Tuhoe refused to send their men overseas to fight, as did Waikato and Taranaki. Tuhoe tohunga Rua Kenana led the resistance to Maori fighting overseas. His staunch anti-war rhetoric offended the government and Pakeha. 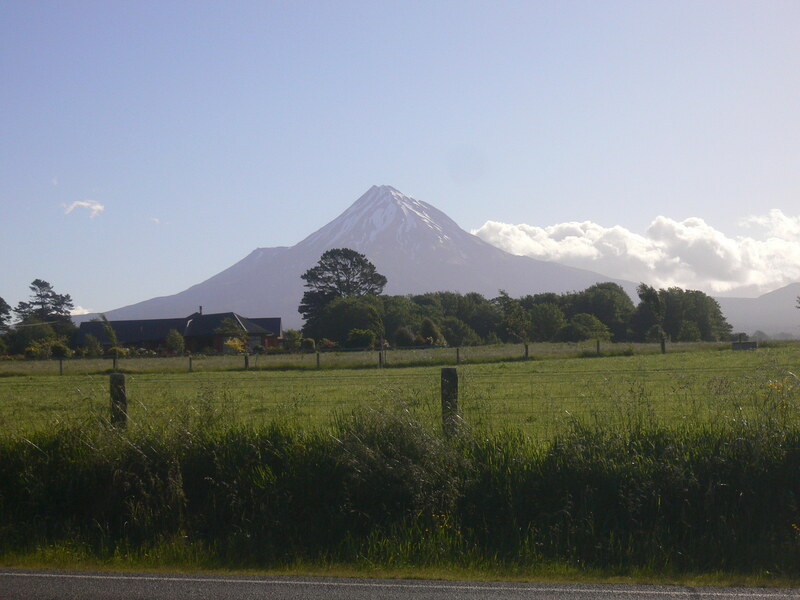 Rua also championed customary cultural responses to the rapidly-changing political and social world that Maori were increasingly encountering, especially the isolated Tuhoe. Rua Kenana had built a strong community of adherents at Maungopotu, deep in the bush. In 1916, the village was invaded by armed police. Rua was arrested and taken to Auckland for trial, accused, in the first instance at least, of illegal alcohol production. He was convicted and imprisoned. The invasion represented the last armed invasion of a Maori community since Wairau in 1843, bringing to the New Zealand Wars to an end.